Hello Ladies! I hope you've all had a fabulous weekend and are now ready for the new week, whatever it has in store for you! I've spent my weekend pampering and relaxing with my friends and housemates, which was exactly what I needed. I now feel so much better and relaxed, ready to jump back into blogging with some fresh ideas. 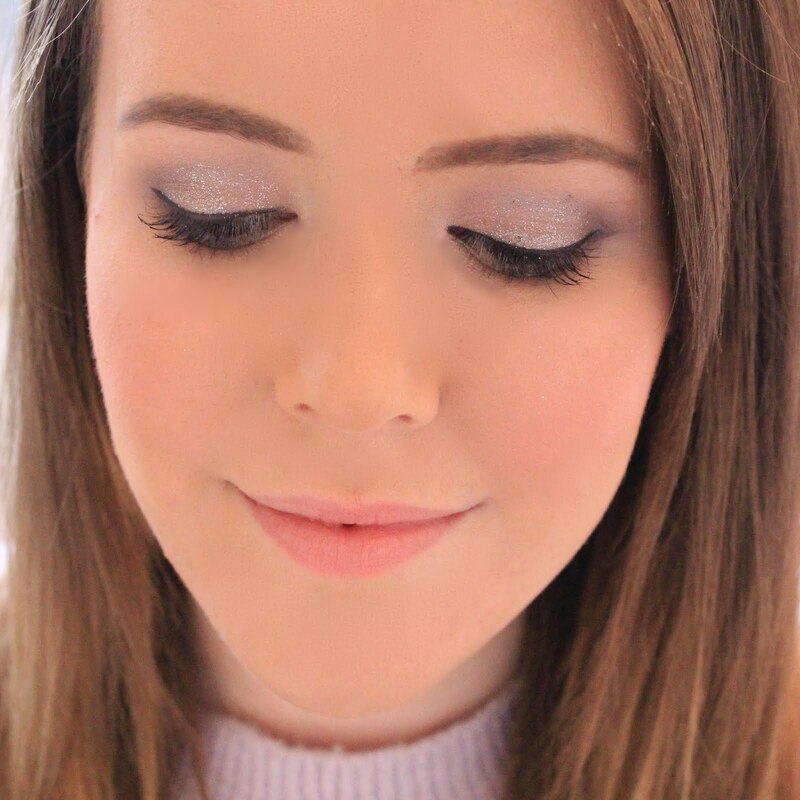 Of course a relaxing weekend wouldn't be complete without catching up with some of my favourite blogs, one of which is Couture Girl, where I spotted a review of this gorgeous highlighter. Recently, I've been really getting into my highlighters and now have a list as long as my arm of brands and products that I want to try. However, as I'm trying (and failing) to save up for my holiday I've put off purchasing them in the hope of getting them in Duty Free this Summer. Although, after seeing Kayleigh's gorgeous photos of the MAC Soft & Gentle highlighter, I couldn't resist and popped it straight into my basket without thinking twice - and I'm so glad I did. 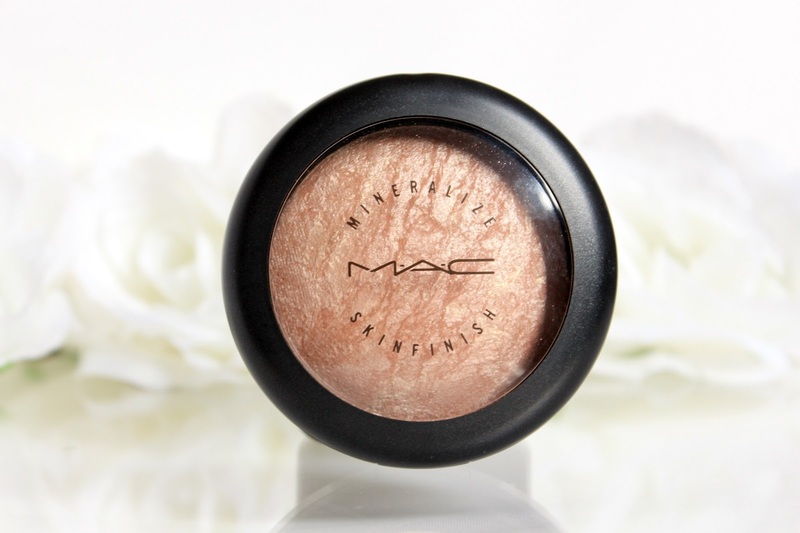 MAC Mineralize Skinfinish in Soft & Gentle is a metallic highlighting powder used to add a much needed glow to your skin, and can be used where ever you'd like a bit more 'glow'. I use this across the tops of my cheek bones after applying my bronzer and blusher to make them stand out a bit more and also to make my skin appear healthier. I find this is the perfect way to finish off my look and wake my skin up a little bit. Another thing I love about this product is how finely milled the powder is. I was slightly worried that this powder would be a bit too glittery for everyday use, but I'd say it was definitely more metallic than glittery as the glitter is so finely milled, making it perfect for everyday use or for going out. MAC describe Soft & Gentle to be a 'gilded peach bronze' which I agree with to some extent. It does look like a very bronze peach colour in the pan but when applied and blended out it's definitely more of a peachy champagne colour highlight - perfect for all skin tones. If your a fan of the Benefit 'Watts Up' but maybe don't like the cream texture then this would be perfect for you as it is a powder highlight. I can see this product looking gorgeous on a wide range of skin tones as it's so easy to blend and work with, however MAC also make a lighter version called 'Lightscapade' and a darker version called 'Gold Deposit' which I'm very keen to get my mitts on before Summer rolls round as I think it would look gorgeous with a tan. However, this product is a little on the pricey side. The MAC Mineralize Skinfinishes cost £22.50, although I do think it has earned this price tag as it has so many uses. This would look gorgeous as a browbone highlight, or dusted down your nose and over your forehead and even on your chest, arms and legs in the summer time or when you are off for a night out. Although I have only owned this a short while, it is already my favourite MAC product which I've tried, even better than their lipsticks and eye shadows - and I never thought I'd be saying that. You can purchase Soft & Gentle from the MAC website here, and they even have free delivery when you spend over £30, which isn't exactly difficult when shopping at MAC! I think this is so so pretty! Definitely need to pick this up the next time I'm at MAC. Ahhh thanks for the review hun I asked the other day what one of their minzeralize's I should get and soft & gentle was a popular one. Reading this has definitely made me want to buy it! this is just such a pretty highlighter, think i'm gonna start saving up for it! find this quite glittery, need to find a way of making it work for me! I do really love this highlighter but I find that it's a bit much for me for every day, just because my skin already tends towards the oily side so it naturally has a bit of a sheen to it. This is gorgeous for special occasions or nights out though! It's pricey initially but there is so much product that it's totally worth it! It's such a lovely glow and shows up beautifully in pictures! what type of brush do you use to apply this? I use my blusher brush by real techniques, but I find it doesn't seem to go on very well and I can hardly see it even though I feel I've applied loooooads!